AGS North AGS North is a company with many years experience of the home improvement industry. All of our glaziers have a minimum of 20 years experience in the glazing industry and working as approved installers for Northumbria and Durham police our Glaziers are Police checked and vetted to the highest standards. With our 24 Hour 365 days a year call centre we provide a fast and friendly service (usually within 1hour) for all your glazing needs. 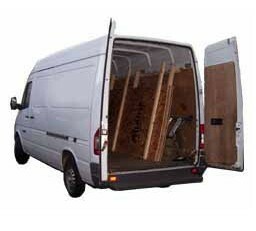 We can repair all types of glass, our glaziers have fully stocked vans to meet your needs and carry out most Glazing repairs. 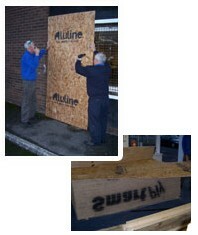 We can supply and fit Double Glazed Units, PVCu Windows, doors and Conservatories. All of our kitchens including our range of solid wood and hand painted doors come with colour co-ordinated 18mm cabinet. They have top of the range features as standard, such as our soft closing long life drawers, anti slam doors and magic corner system. Also with a choice of integrated appliances, granite worktops, we've got everything you need to create that dream kitchen. At AGS North we understand that whether you are making a small or fundamental change to the appearance of your home, it is a big decision and one which should not be taken lightly. AGS North, is an established and experienced installer of home improvement products, with our showroom in Blyth Northumberland you can come and look at our quality products before you buy.